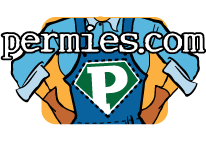 Do you want to join the chat on permies.slack.com ? Bobby Johnston wrote: would really like to join the permies slack chat. can someone invite me by any chance? Invitation sent ! Welcome ! Don't hesitate to make suggestions or feedback ! it's really easy to start a hangout in the chat by typing "/hangout"
I am trying to get "interesting content" into the chat (see details in https://slack-files.com/T1K5RBV3R-F1PFZSWKD-b7bb24b9e1 ) by using an rss addon. what interesting rss feeds could we inject to get interesting content into the en_-permaculture channel ? the "permies recent topics" feed http://www.permies.com/forums/rss/recentTopics had too many articles per day so maybe we can filter only the articles that contain "permaculture" in them : http://www.feedrinse.com/services/channel/?chanurl=bb9de60c6b0d07e96a2b9168e1a1dd88 ?? may be https://www.reddit.com/r/Permaculture/ and https://www.google.fr/alerts/feeds/15338055211347383191/2870663652010925620 ?? What do you folks think of this choice of rss feeds ? We are currently building a chat https://permiechat.slack.com for permies. The idea behind that chat is that it will be open to all permies in all languages so that some synergy between different people can be created. thanks C Sanct for the encouragements (sorry for my bad english) - what do you think of the "chat announcement draft" above ? do you think it s OK if we go with it ? should we post it in the "web sites" forum ? are you OK if I post it ? or maybe you d like to post it ? I'm Ok with it an I'm assuming most people will be too. I see no reason why you shouldn't go ahead and post it where you see fit. Would you prefer someone else post it in the "web sites" forum? thanks also for the encouragements for this chat and your good ideas !